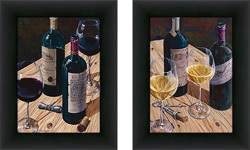 This set of includes 2 individual images which have been framed with a glass cover. 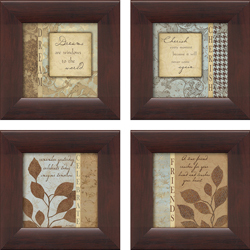 Frame choice was selected to compliment the art by our team of art designers. Wall mounted hardware is installed behind every frame and arrives ready to hang.